You can’t talk about The City’s landmarks without first talking about the geography that gives rise to them – figuratively and literally, in some cases – namely, its hills and its islands. Depending on the source, you might read that San Francisco has 43 named hills (from “Hills of San Francisco,” a compilation of San Francisco Chronicle articles published in 1959) or 53 (from a 2004 San Francisco Chronicle article by Tom Graham) or even 74 (from a list compiled by Dave Schweisguth, who evidently has stood atop all 74 of them). 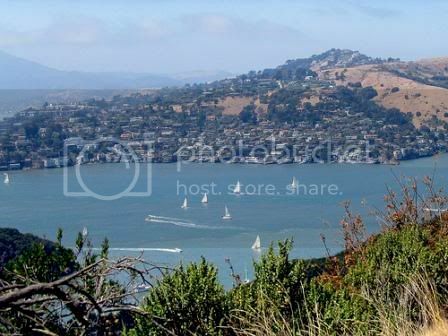 Most commonly, however, people talk about “seven hills,” which refers to Nob Hill, Rincon Hill, Russian Hill, Telegraph Hill, Mount Davidson, Mount Sutro and Twin Peaks. Similarly abundant, are the islands located in the San Francisco Bay, with one recent book, The Islands of San Francisco Bay, putting the tally at 48. The five discussions below will introduce you to the most prominent ones. Treasure Island – Constructed as a late-1930s WPA project of quarried rock and bay-dredged landfill, this 400-acre man-made island was the site of the 1939-40 Golden Gate International Exposition, a world’s fair that celebrated the area’s two new bridges – the Bay Bridge (opened in 1936) and the Golden Gate Bridge (opened in 1937). Someone has assembled a delightful collection of old postcards from the fair here. Thereafter, the U.S. Navy, deeming it an ideal location for Pacific theater access, established Treasure Island Naval Station (which also included a portion of Yerba Buena Island) in 1941. In 1996, the naval base was decommissioned and opened to public control. Presently, Treasure Island is on the brink of becoming San Francisco’s newest residential neighborhood. Yerba Buena Island – Known by many different names throughout the years (including Seabird Island, Wood Island and Goat Island), this island is presently best known as the location of the Yerba Buena Tunnel which runs through its center and connects the western and eastern spans of the San Francisco-Oakland Bay Bridge. The Bay Bridge – When constructed in 1936, this was the most expensive man-made structure ever built and the longest steel high-level bridge in the world. The bridge connects San Francisco to Oakland by way of Yerba Buena Island, and the portion that spans the 1.78 miles between San Francisco and the island is really two suspension bridges with a concrete pier in the middle supporting one end of each. The Yerba Buena Tunnel remains in the Guinness book of World Records as the largest diameter bore tunnel in the world, measuring 76 feet wide by 56 feet high. Two important things to remember about the Bay Bridge: (1) try to avoid traversing it between 3 and 7:00pm unless sitting in traffic is your idea of a good time; and (2) between now and March 2015, the bridge will serve as the venue for the world’s largest LED light sculpture — called The Bay Lights — which you can learn more about (including the best places to view the installation) by clicking the preceding link. Coit Tower, North Beach – Atop Telegraph Hill, this curious 210-foot structure offers magnificent views of The City (especially at sunset) and includes a mural created as part of Roosevelt’s Federal Art Project that wraps around the ground floor’s circular walls and depicts the effects of the Depression on the Bay Area. You can sample some of the Coit Tower artwork here — as well as many others in other areas of The City — and even download an iPhone app to help you learn about these unique San Francisco public art installations. Crissy Field, The Presidio – In case you’re wondering how this vast waterfront park escaped development over the years, it was once an airfield that served The Presidio’s former army base. Now, though, it’s part of the Golden Gate National Recreation Area and the perfect place to picnic, jog, ride a bike or fly a kite. If you’re feeling particularly adventuresome and/or it’s not a perfect-weather day, check out the House of Air’s amazing trampoline center in The Presidio nearby. Ferry Building Marketplace, The Embarcadero – This is a terminal for ferries that travel across the San Francisco Bay and a shopping center. It was built in 1898 and survived both the 1906 and the 1989 earthquakes with minimal damage. Until the completion of the Bay Bridge and Golden Gate Bridge in the 1930s, it was the second busiest transit terminal in the world, second only to London’s Charing Cross Station. In 2004, the building was renovated and now serves as an upscale gourmet marketplace and office building in addition to its ferry terminal duties. San Francisco’s largest farmer’s market is held there on Tuesdays and Thursdays from 10:00am to 2:00pm and on Saturdays from 8:00am to 2:00pm. Fisherman’s Wharf and Aquatic Park Historic Landmark District – While this area might now be more aptly described as “a San Francisco tourist attraction” rather than a landmark, its history dates back to the Gold Rush when Italian immigrant fishermen based their fishing fleets here. In addition to housing a couple of the more “light-hearted” entries on this list of San Francisco museums (specifically, Musée Mécanique and Ripley’s Believe It or Not), the area still celebrates its nautical history at the nearby San Francisco Maritime National Historical Park, where you’ll find the Maritime Museum (a late-Art Deco building with incredible WPA Project murals that were recently restored – click here for Maritime Museum photos and hours of operation) and the Hyde Street Pier (where an impressive fleet of historic vessels are moored). 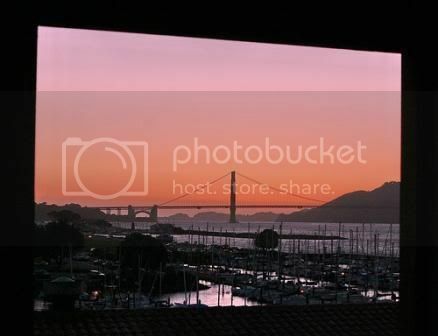 Fort Mason – Situated on 13 waterfront acres with a stunning view of San Francisco’s Golden Gate Bridge, this former military installation and historic landmark has been converted to public use as part of the Golden Gate National Recreation Area. Two dozen nonprofit organizations call the center home, including theaters, museums, a music school, a maritime library, a radio station, a gourmet vegetarian restaurant, several environmental groups and a bookstore. Fort Point – Located at the south anchorage of the Golden Gate Bridge, the fort dates back to the Gold Rush days and was declared a National Historic Site in 1970. (You may remember the area from Alfred Hitchcock’s film ‘Vertigo’ as this is where Madeleine supposedly makes a suicide attempt.) The site today is quite popular with photographers trying to capture the perfect shot of San Francisco’s most popular landmark. (The light is typically best in the morning, by the way.) On Saturday evenings during the winter months (November through February), a special evening candlelight tour is offered by reservation, which the National Park Service begins taking on September 1. Lombard Street, Russian Hill – Known as “the crookedest street in the world” because of its eight sharp turns (built in the 1920s to allow traffic to descend the steep incline), the street zigzags around beautiful landscaping and offers a nice view of the bay. 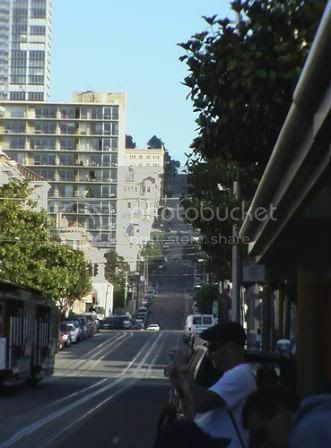 There are stairways on either side of the street for pedestrians, and the descent begins at Hyde Street. Mount Sutro – Once named Mount Parnassus, it was renamed to honor The City’s 24th mayor, Adolph Sutro. Covered by a eucalyptus forest planted in the late 19th century, it is mostly private property owned by University of California, San Francisco. Unmarked trails leading up to the forested summit are open to visitors, but there are no views from the top. 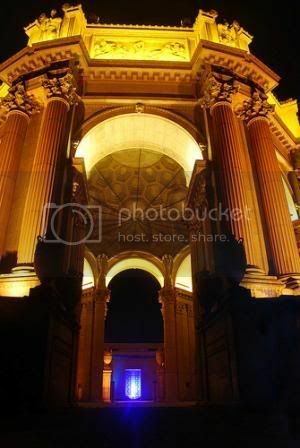 Palace of Fine Arts, Golden Gate National Recreation Area – Originally built for the 1915 Panama-Pacific Exposition of non-durable materials, this beautiful structure was rebuilt using permanent materials in 1964. It is the present home a 1,000-seat, continental-style theater. Pier 39, Fisherman’s Wharf – Opened in 1978, Pier 39 is a dining, shopping and tourist attraction area in San Francisco’s Fisherman’s Wharf. In addition to touristy museums, kids of all ages go there to enjoy its carousel, sea lions and street performers. Here is a Pier 39 tourist map that details what you will find there. The Presidio – Situated between the Marina and Richmond Districts and now a national park, this area is distinguished as the U.S. longest-lasting, continuously used military post until it was decommissioned in 1989. Formally established on September 17, 1776, it had been used as a military headquarters by Spain, Mexico and the U.S., and it boasts military buildings in various styles (from Spanish Colonial to Georgian), some of which date from 1848. Now part of the National Park Service with mixed commercial and public use, it is popular with joggers and dog walkers. The Presidio is accessible by car from Arguello or Lombard streets, Marina Boulevard or 25th Avenue, or you can get through on foot or by bike at 14th or 15th Avenues. Twin Peaks – These two hills, located in San Francisco’s geographic center, have a 922-foot elevation and offer unobstructed, 360-degree, panoramic city and bay views. The north peak is formally Eureka Peak, and the south peak is named Noe Peak. The best vista point — known locally as “Christmas Tree Point” — can be found about 100 feet down from the top of Eureka Peak. All images via flickr (Creative Commons). 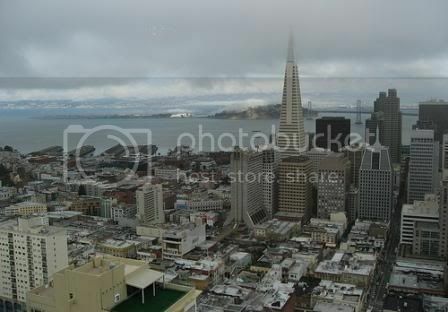 Photo of Angel Island by Anna Majkowska; Photo of Cable Car by Fábio Gianesi; Photo of Golden Gate Bridge from Fort Mason by Shayan (USA); Photo of Palace of Fine Arts Rotunda by JBlaze B; Photo of Transamerica Pyramid by jurvetson. when it was published, but hours, prices, etc. with local contacts before traveling. Was this article useful and/or interesting? Would you please consider sharing it?